Need a Rental Car? You Don’t Have to Look Far. Streamlined, easy and hassle free, 821 Collision takes care of everything from working with your insurance company to rental car assistance. Our family-owned and operated collision repair facility understands the importance of your vehicle when it comes to everyday routine tasks. That is why our experienced, professional office staff will assist you with rental car arrangements to get you back on the road in no time while your vehicle undergoes repairs. Often times, your auto insurance provider will assist with rental car fees. 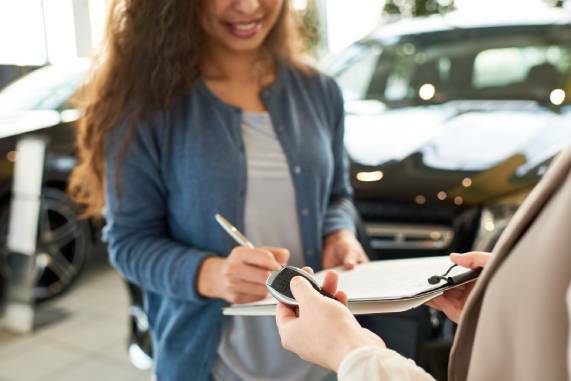 If you are unsure, we will assist you with making rental car arrangements with Enterprise-Rent-A-Car® so your daily routine goes uninterrupted while your collision repairs are underway.